Remember Hero’s outrageous showcase of unachievable products at the Auto Expo 2014 (and 2016)? At the last EICMA, they displayed a variety of motorcycles and scooters – but, of late, they have become a lot more cautious and sensible in how they portray their brand. 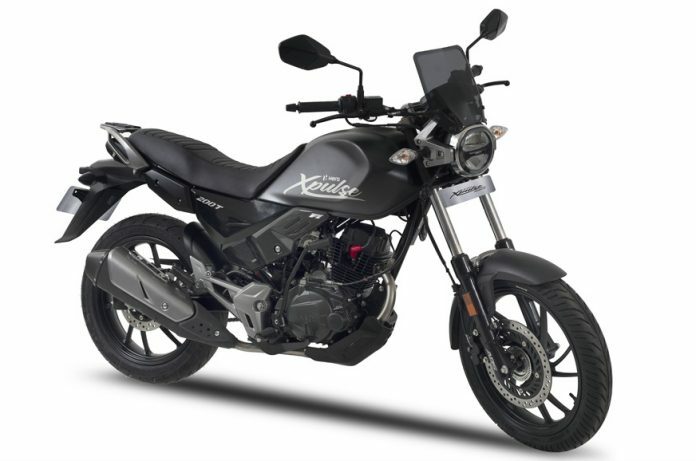 As a part of the package were very achievable motorcycles – Xpulse 200 adventure and the new Xpulse 200T tourer, apart from some concept designs based on the same platform. 200T is the tourer version of Xpulse which focuses more on the long distance riding comfort. It has a different and relatively comfortable ergonomics along with loading capability with its large luggage plate. No! Unlike the Xpulse 200 which was first unveiled as a concept, the Xpulse 200T is showcased as a production-ready model. In simple terms, there shouldn’t be many changes when it eventually reaches your local dealerships. 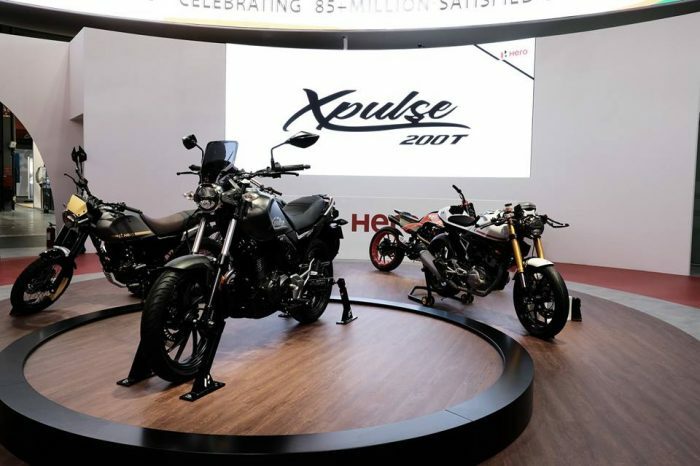 Xpulse 200T will come with LED head and tail lamps, digital speedometer with Bluetooth connectivity and turn-by-turn navigation. It will also carry forward Xpulse’s single-channel ABS. 200T gets alloys in place of spokes and regular 17 inch tyres instead of the 18-21 inch combo of the ADV version. This also means that the seat height of 200T is lower (by 30 mm). The handlebar is also shorter and unlike the ADV’s high-mounted sideseat exhaust, 200T comes with a more conventional side slung canister. In a press release disseminated late last year, Hero officially said that both Xpulse 200 and Xpulse 200T are ‘likely‘ to be launched in India towards the beginning of 2019. However, we are past the ‘beginning of 2019’ but there has been nothing from Hero on these twins. However, latest developments have suggested that either both or one of them may be introduced soon. 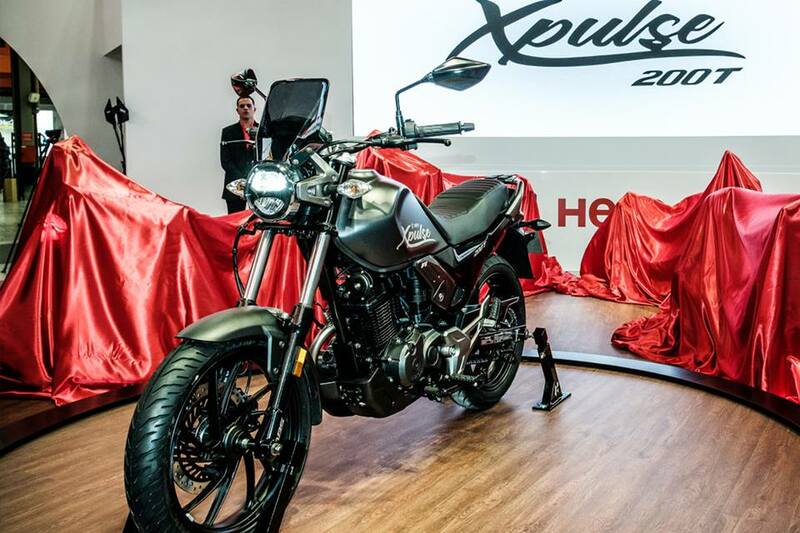 As you can expect, it continues to be powered by the same 18.4 PS, 17.1 Nm single cylinder 200cc air-cooled engine which powers the Xpulse and the Xtreme 200R. Very recently, another motorcycle based on the same platform, probably the Karizma 200, was spotted in a short video clip. You can check details here. So, is it your kind of motorcycle or is Hero just hitting the mud by offering different skins on the same platform which is ‘underpowered’ for today’s standards?